Hey everyone! 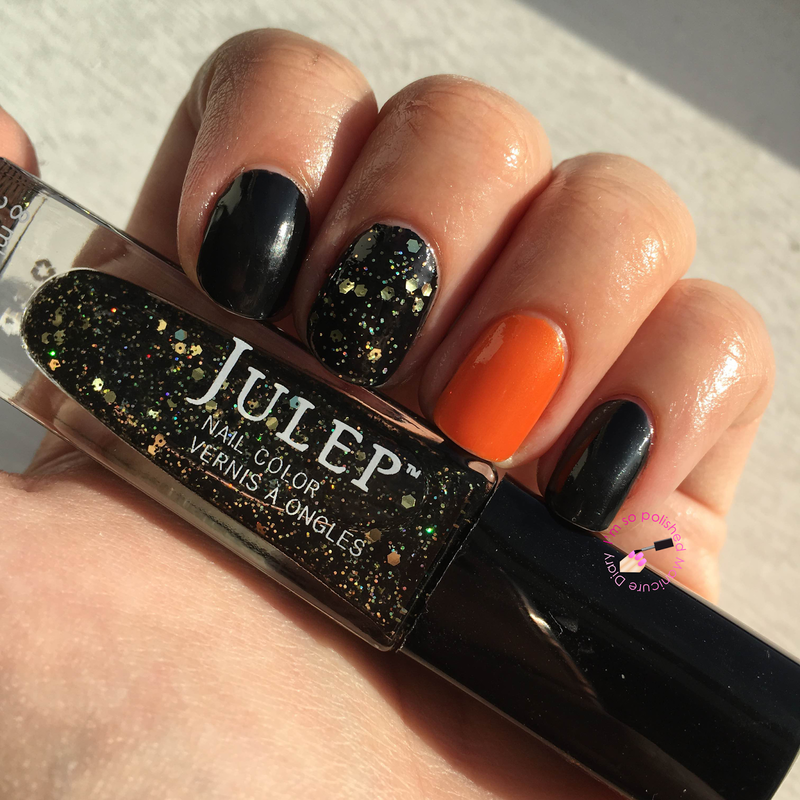 Today is just a quick nail post with what I wore for Halloween. I didn't have time to do anything super crazy this year because on Sunday the fiancé and I had our engagement shoot (so obviously I didn't want Halloween themed nails haha). The black polish I used here is Zoya Willa. 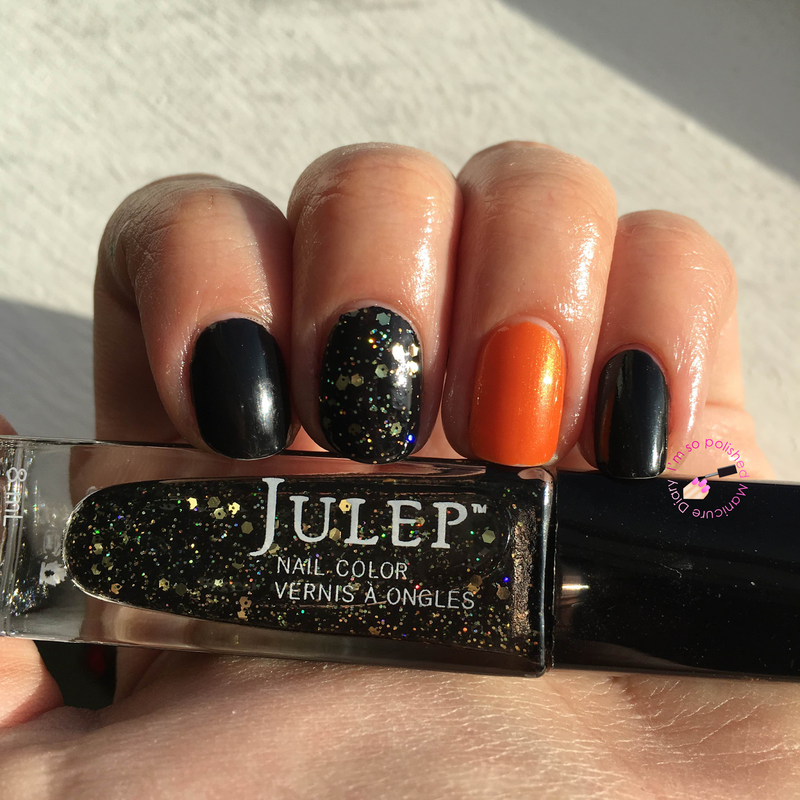 This polish is a true black with the perfect formula. Two easy coats and dries quickly. 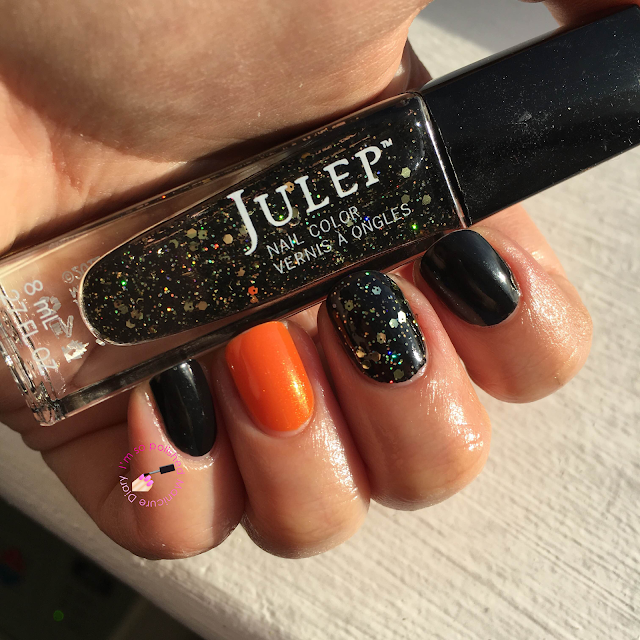 The glitter accent is Julep Beatrix, a black base filled with multidimensional glitter. The orange is Julep Marjorie, the perfect Halloween orange with a hint of shimmer. My class at school today loved my simple but festive nails!